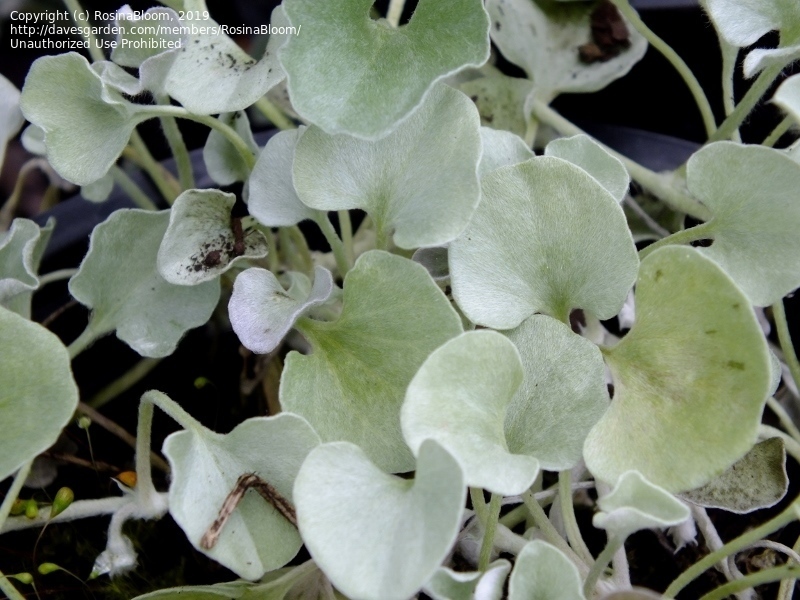 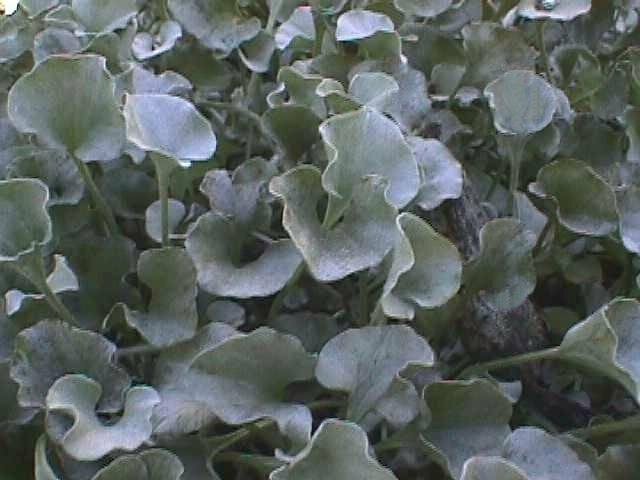 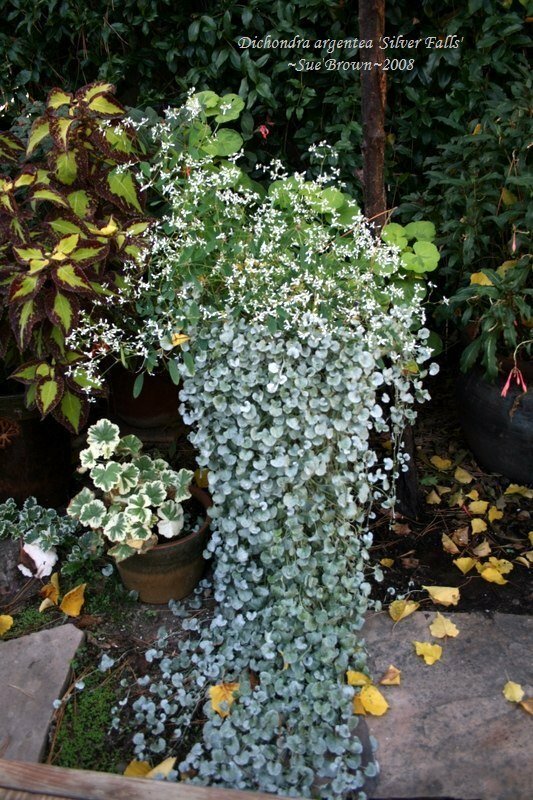 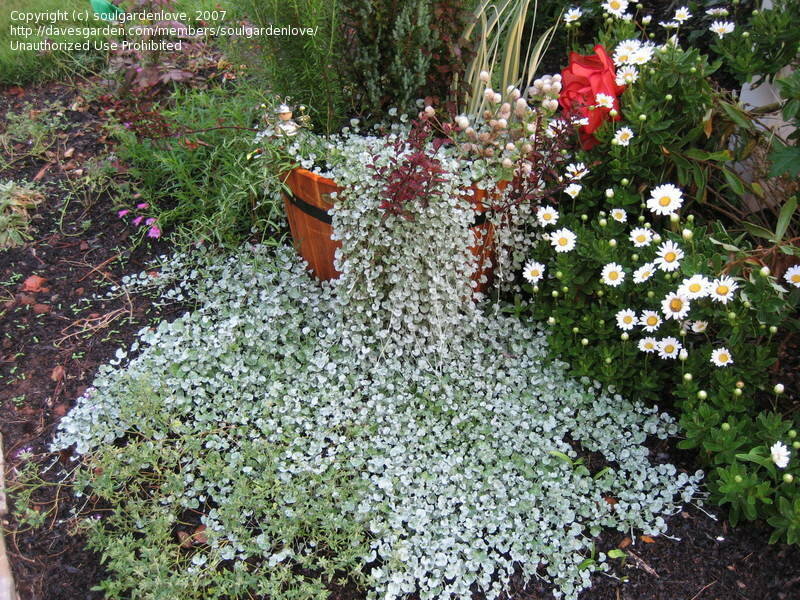 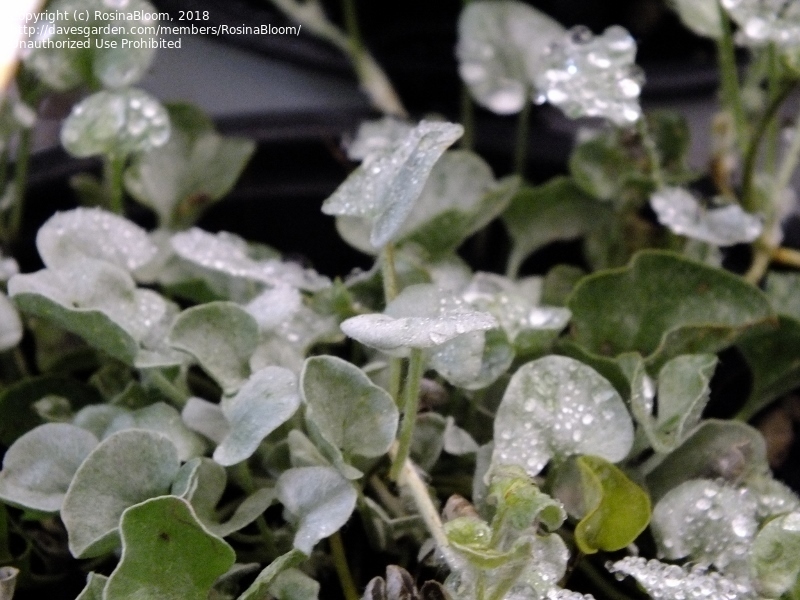 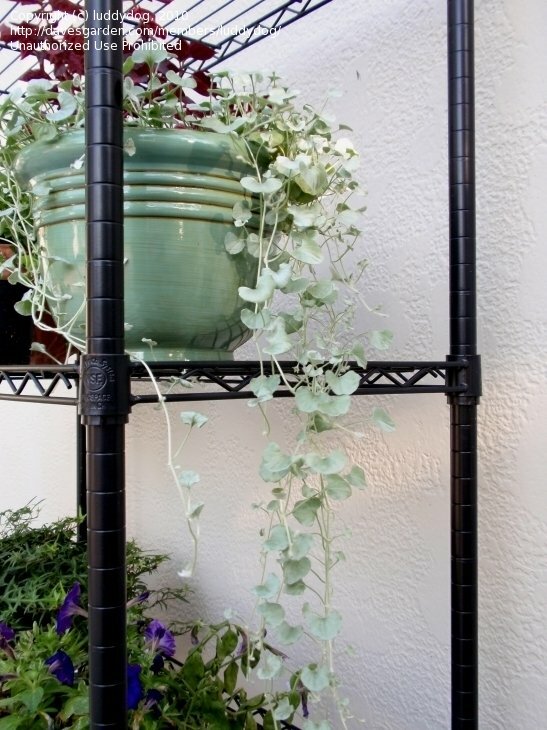 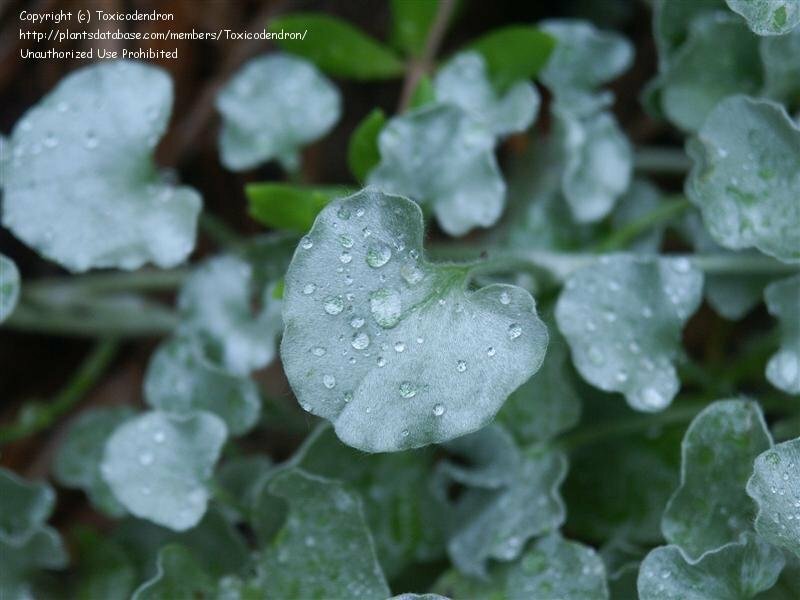 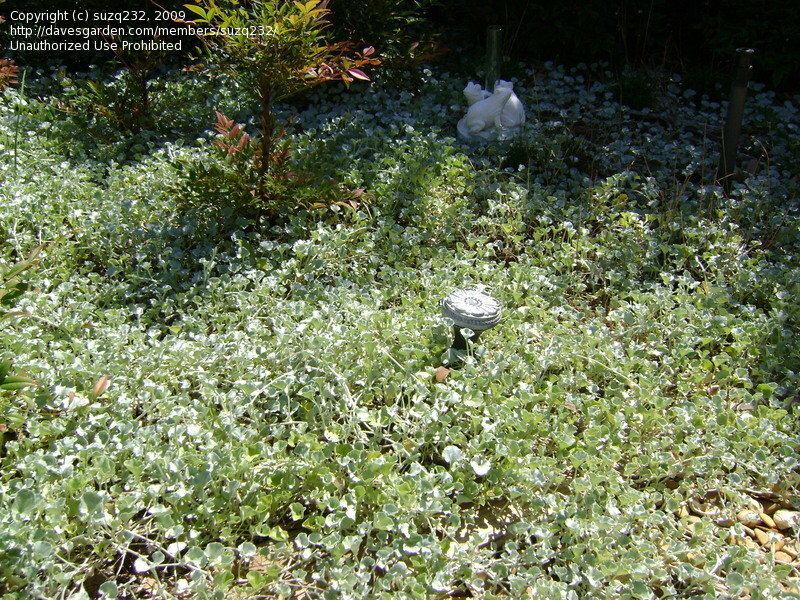 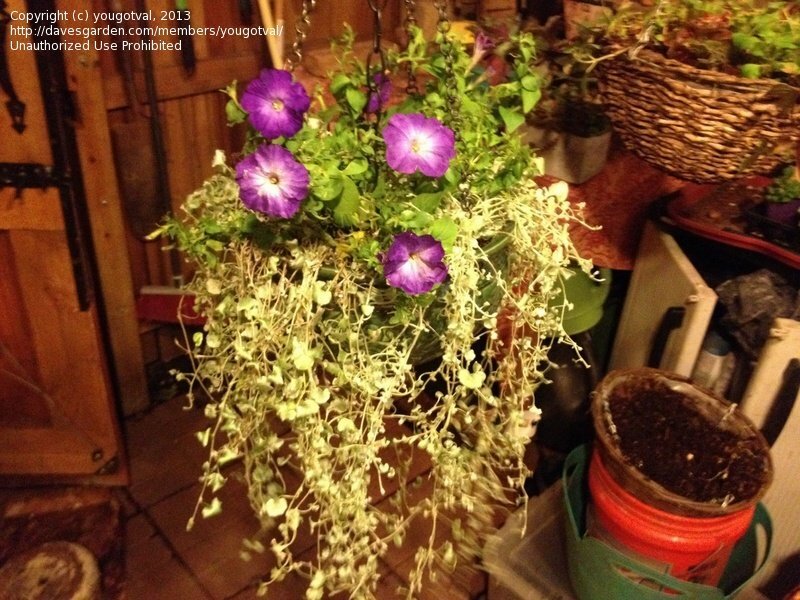 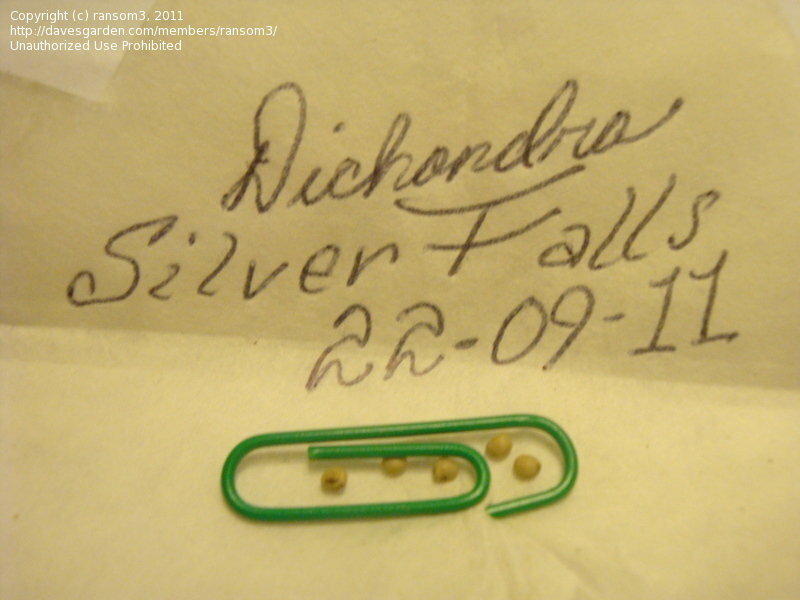 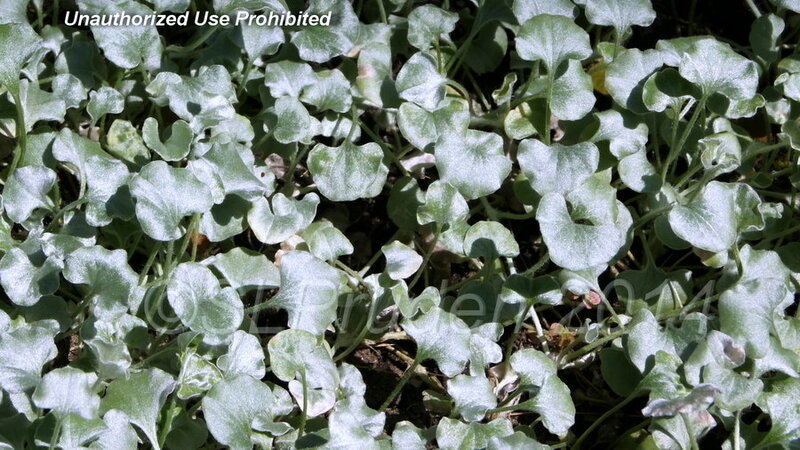 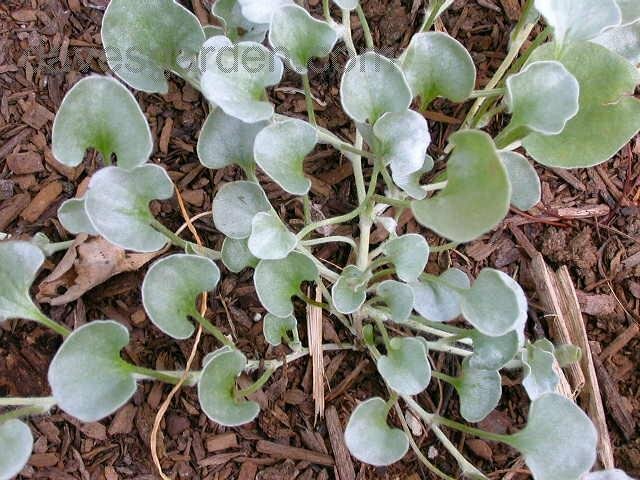 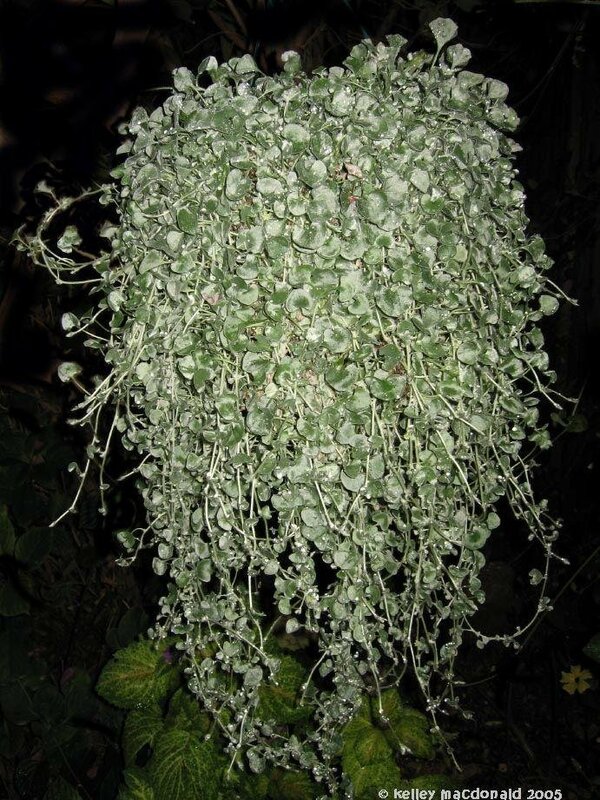 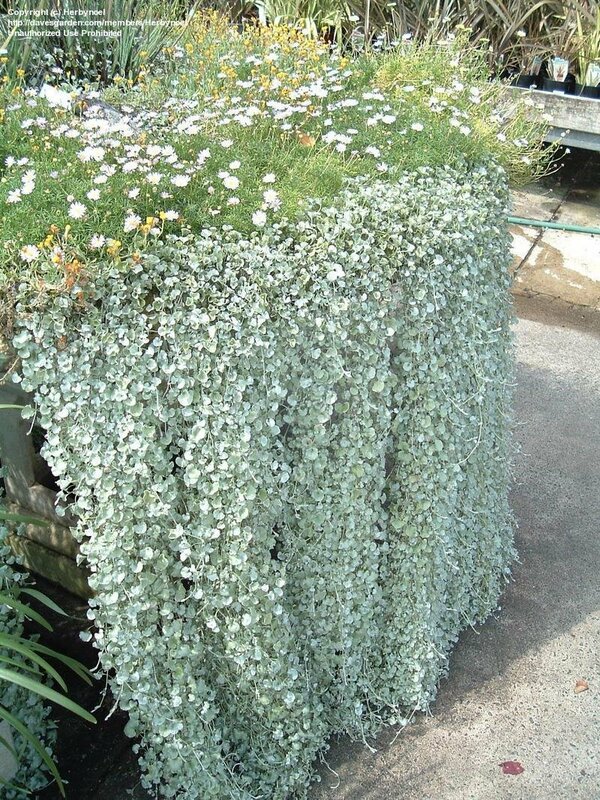 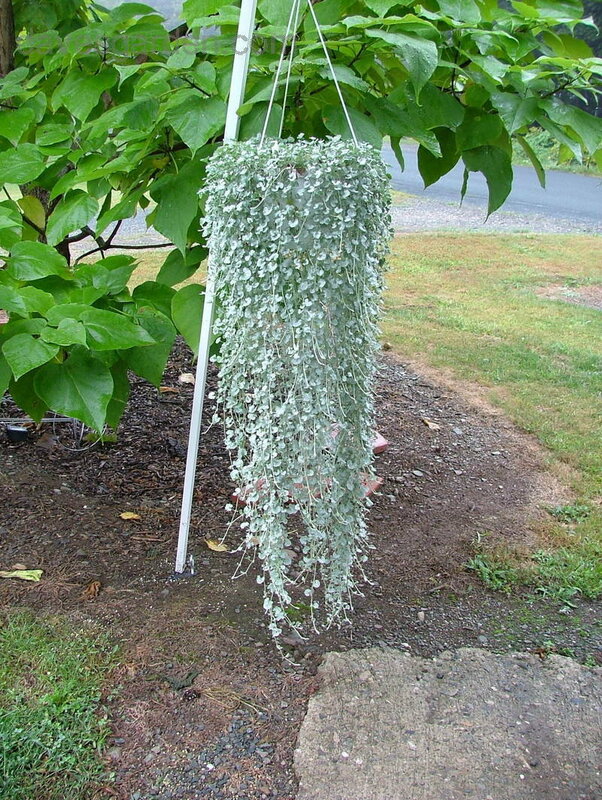 Dewdrops on Dichondra \\\'Silver Falls\\\'. 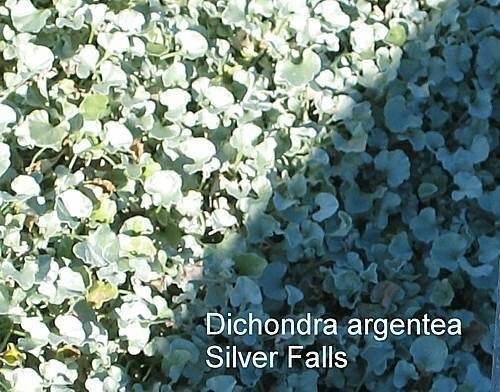 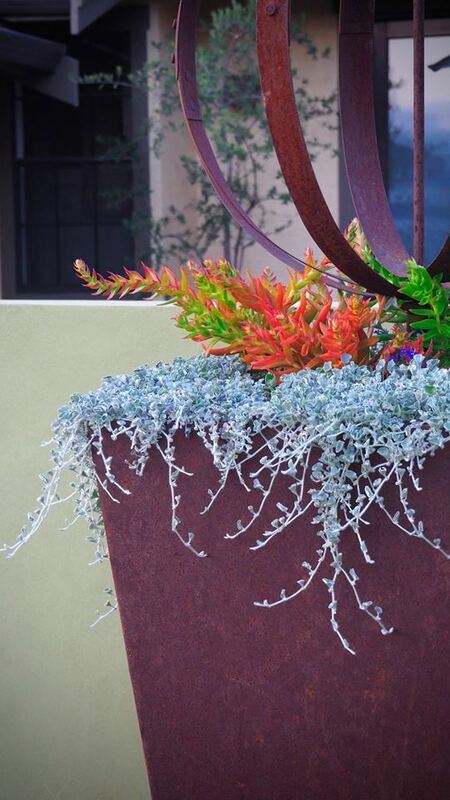 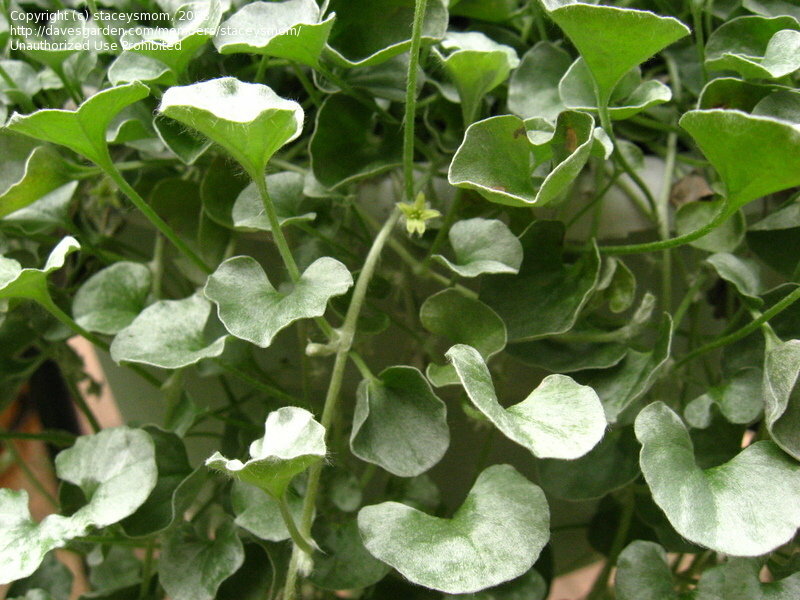 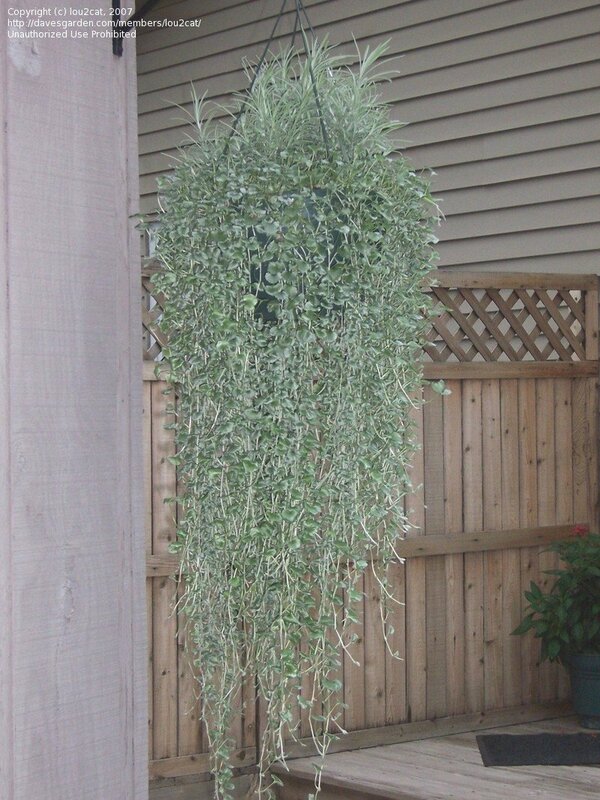 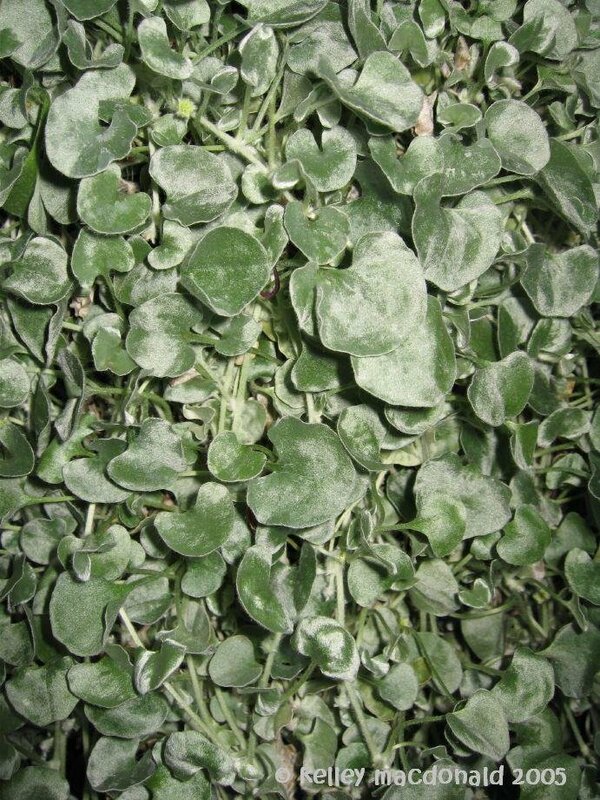 This Dichondra was planted in a VERY large bowl and allowed to spill over the side. 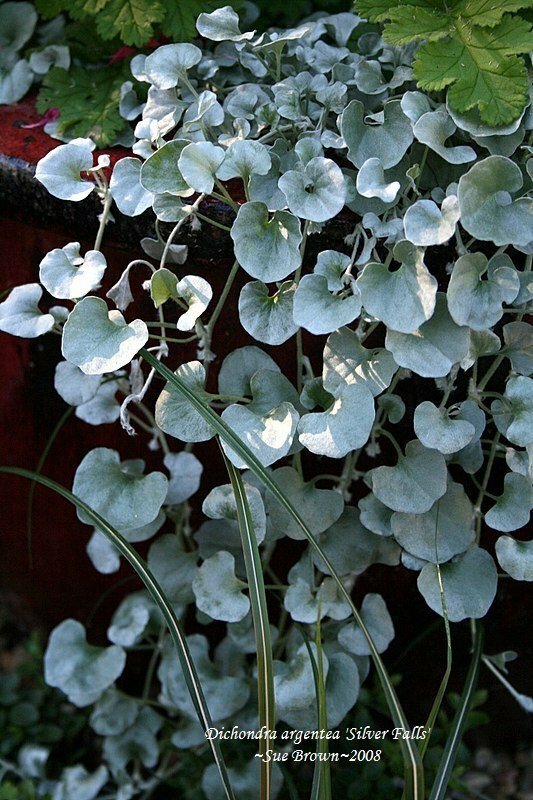 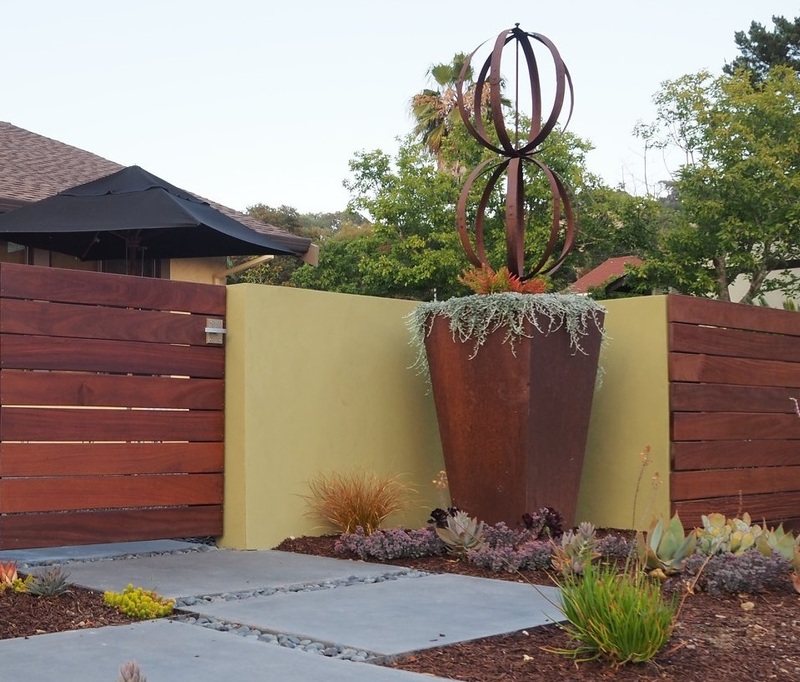 A stunning plant that lights up wherever it is. 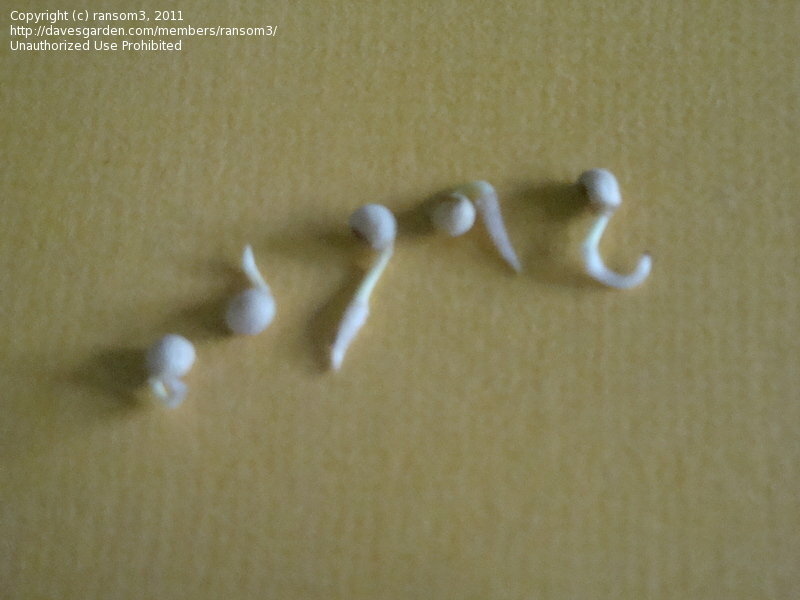 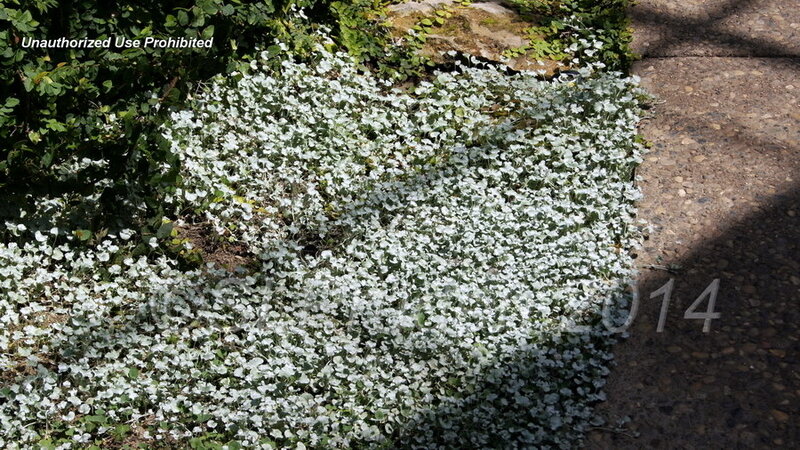 In the center of this picture you can see one of the tiny, tiny flowers. 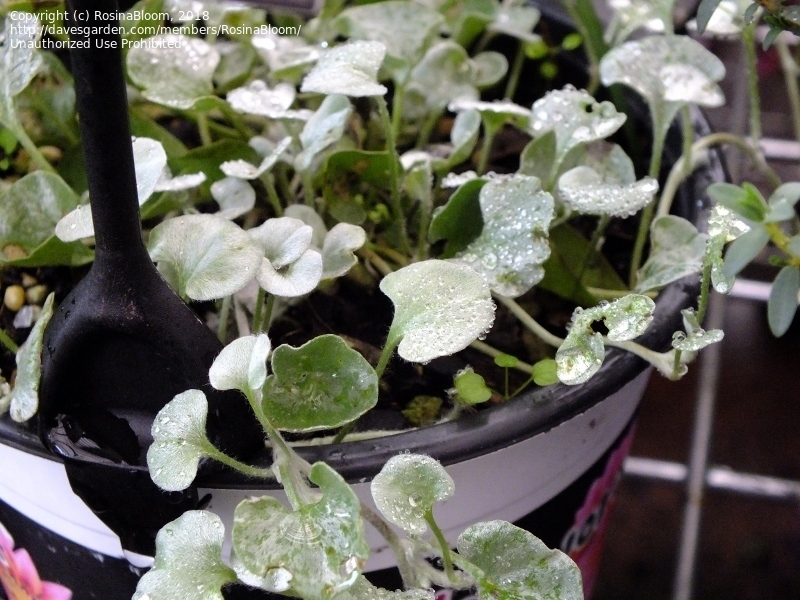 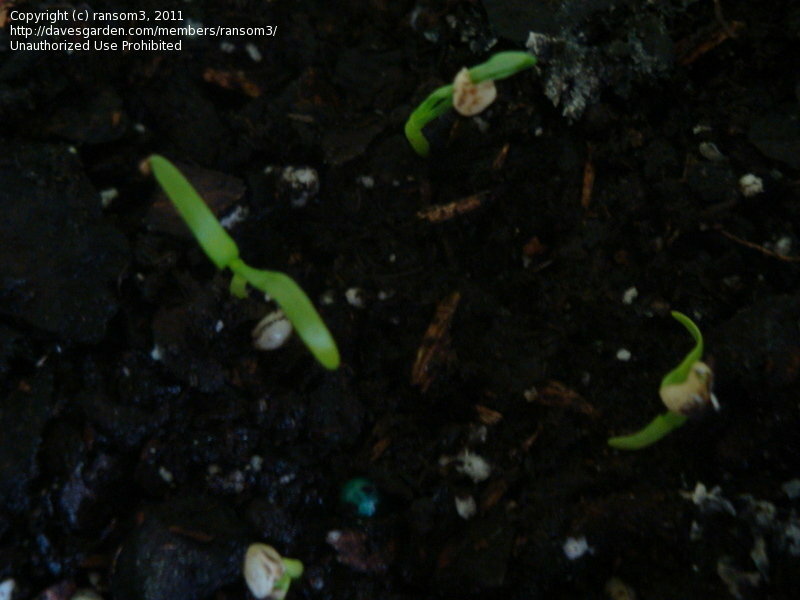 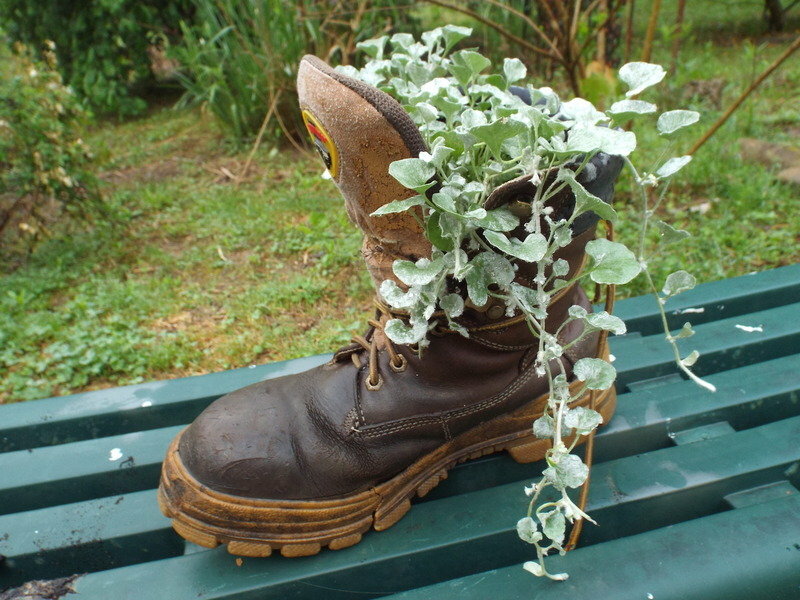 Growing in an elevated pot. 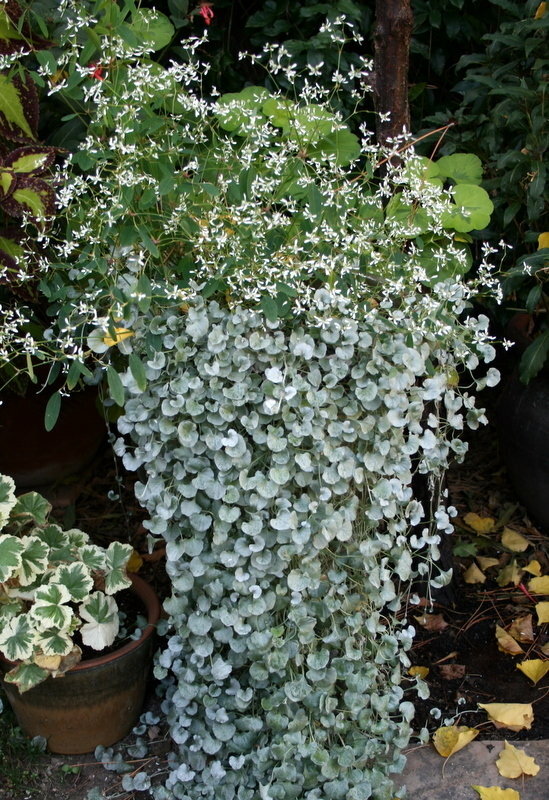 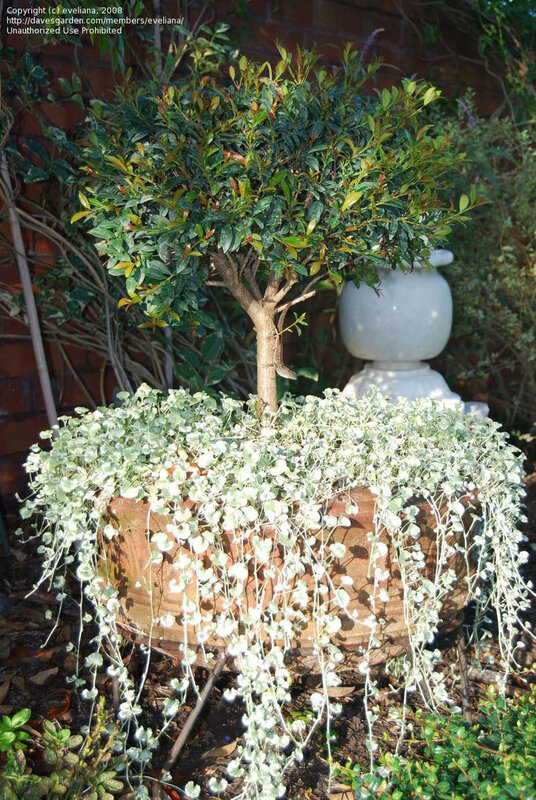 Growing in an elevated pot with Euphorbia 'Diamond Frost' at the top. 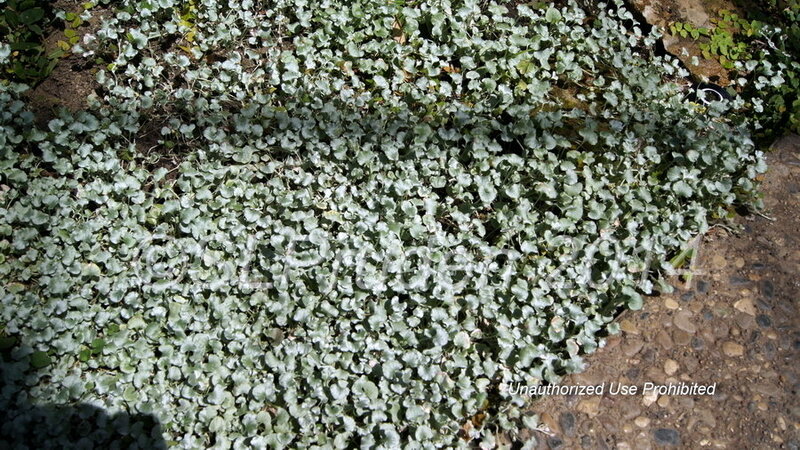 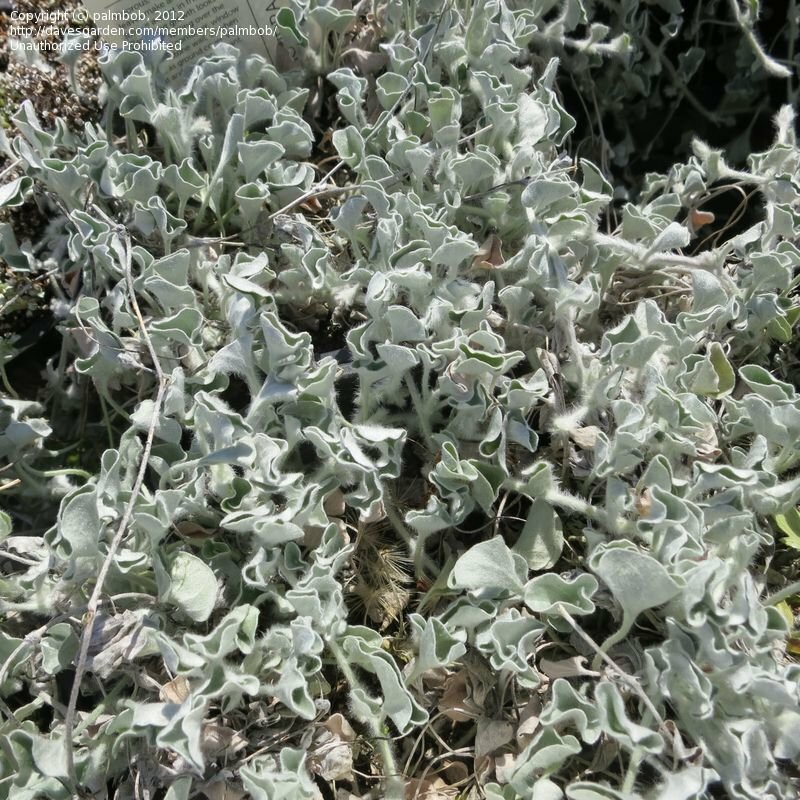 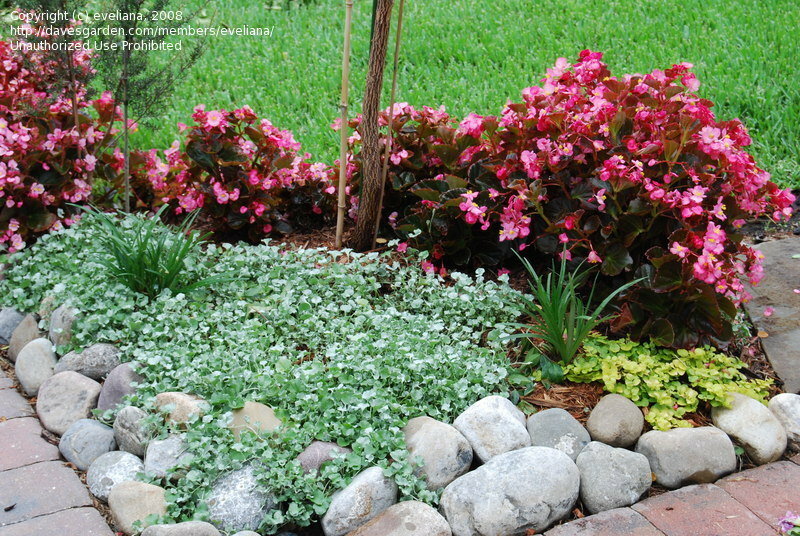 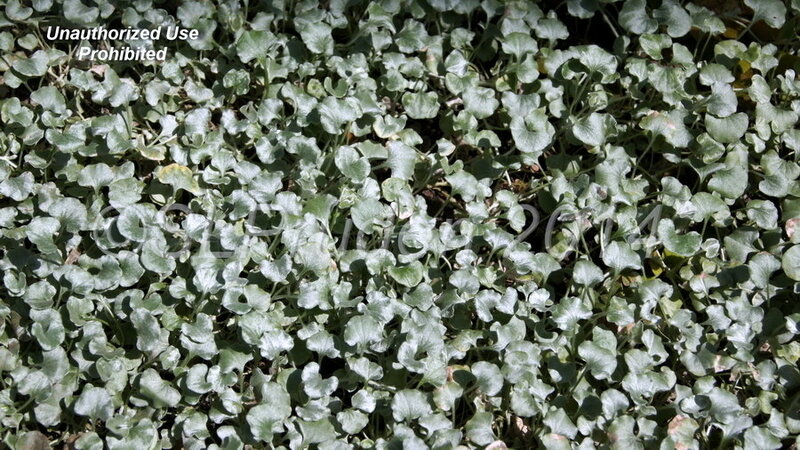 This is a great groundcover! 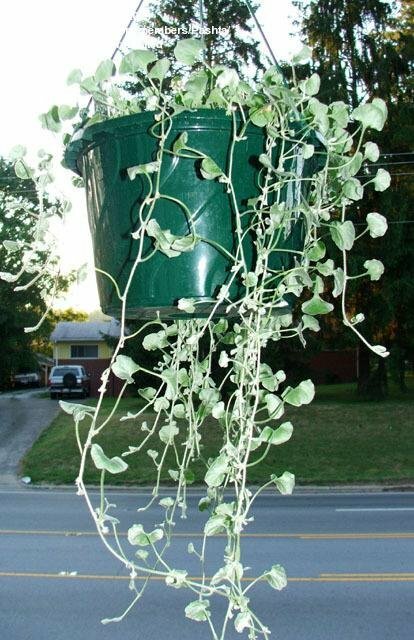 Grown from seeds started about 8 or 9 months ago.